The O2 is an award-winning pool at InterContinental, London, built on the ground floor, rather than in the basement, to ensure the spa is light, airy and seductive. Operators, Grove Developments, chose the multi-award winning team, London Swimming Pool Company, to deliver the bespoke design that includes a large main pool (17 x 7 metres and 1.2 metres deep) with a waterfall that cascades from the pool and spa dividing wall. The smaller award-winning spa pool is not a run-of-the-mill acrylic one, but a bespoke concrete design measuring 4.4 x 2.7 metres (0.9 metres deep) with a lounger at each end of the central bench. The loungers have bubble trays which give full air massaging, and the bench has both back and calf water/air mixture jets for relaxing massages. 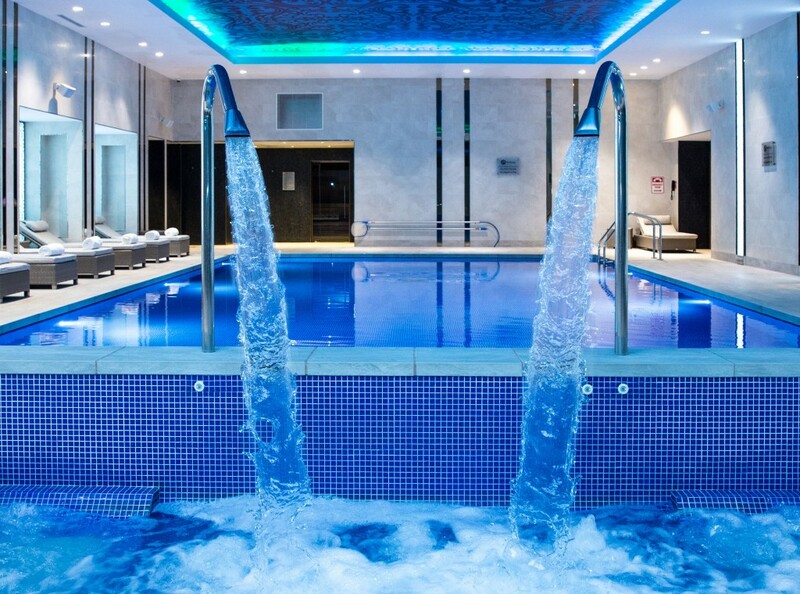 Two AstralPool neck-jet water cannons send exhilarating bursts of water into the spa pool.The pool/spa plantroom is conveniently located 10 metres from the pool. It is equipped with Astral Arctic filters (10.50 mm x 2) and Badu pumps (90/25 1.5 hp x 2) which maintain pool functionality at optimum performance. LSPC also retro-fitted an automatic backwash system to make backwashing very easy. A simple push button mechanism on the electrical control panel stops, starts and times the backwashing process, while separate levers enable the in-house pool engineer to control the flow-direction of water.